It is the melanin that gives the color to the skin. When this melanin gets damaged or stop functioning, you will start getting white spots on the skin. This can appear on any part of the body and it is quite difficult to get rid of them. White spots or vitiligo can appear on the skin due to genetic reasons, chemical reactions and oxidative stress. Neural and viral causes also lead to vitiligo. If you detect it in its early stage, you can control and treat white spots. Keep drinking water in copper vessel overnight at room temperature. Next morning this water will contain copper ions, which are beneficial for producing melanin in the body. Consume this daily to get a flawless skin without white spots. You can use cabbage in different ways. Extract the juice of fresh cabbage leaves and apply this on the affected areas. Wash off with lukewarm water after ten minutes. Boil cabbage leaves in water and apply this water over the white spots. Another way is to just add cabbage in your regular diet. Gingiko biloba is a good remedy for vitiligo. It slows down the formation of white spots and also aids in re-pigmentation of the white patches with regular application. Consuming ginger juice is a natural way to treat white spots on the skin. You can use ginger in 3 different ways. Mix ginger with lemon juice and water and have it twice daily. Make a paste of ginger and apply on the affected area. Mix red clay and ginger juice and apply on the skin. Wash off after 20 minutes. Apply basil directly on the skin or boil the basil in water to which turmeric powder is added. Let the boiled water get to room temperature and then apply on the skin. Wash off after 10 minutes. This has anti-fungal and anti-septic properties. The anti-fungal and anti-bacterial properties of honey keep the skin healthy. You can use honey in 2 ways. Wash your skin with plain water and pat dry your skin. Apply raw honey on areas where white spots are present. Let the skin absorb the goodness of honey. Take three tablespoons of honey and add one tablespoon of turmeric powder, rice powder and sandalwood powder. Mix well and apply on the affected area. Wash off with water after 10 minutes. Boil this root with water for 15 to 20 minutes and then apply the extract o the affected areas. This helps in reducing white spots on the skin. You can use it in two ways. Grind dried leaves, fruits and flowers of Neem to get a powder. Add this to water and consume it daily. You may also make a paste of Neem leaves and apply on the affected areas. Wash off after 10 minutes. Extract the juice of Neem leaves and blend two teaspoons of this juice with honey. Drink this mixture three times a day. If you have a skin that is prone to vitiligo, you must take care that no cuts, lacerations, rupture injuries or abrasions are caused on the skin. These may lead to the formation of white spots on the skin. Psoralen herb is an excellent remedy for vitiligo. Soak 2 teaspoons of psoralen and 25 gm of tamarind seed in water for 4 days and then dry these seeds. Grind them adding the water used for soaking them and get a paste. Apply this on the affected areas and wait for 20 minutes. Wash off with water. Apply this twice daily for a month to get rid of white spots on the skin. You can also grind psoralen seeds with dried ginger to get a fine powder. Mix one teaspoon of this powder with one glass of water and consume it every day. 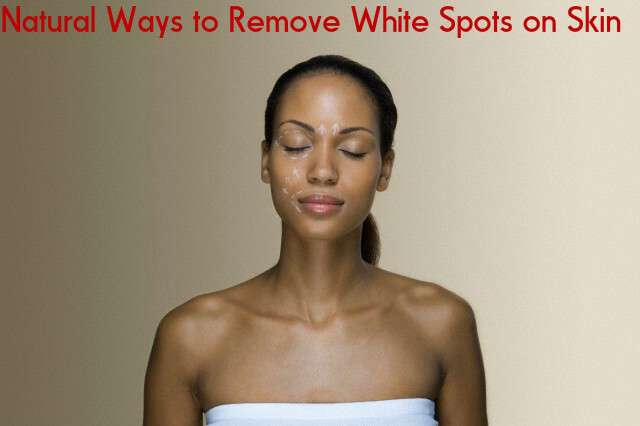 This will help in reducing the white spots. Another way is to mix psoralen seeds with barberry root powder, coconut oil and black cumin. Make a smooth paste out of these ingredients and apply on the areas you have white spots. After about 4 months of use, you will see changes on your skin. With continuous use the white patches may get darker. On consulting a doctor for treatment of vitiligo, he will suggest you to undergo PUVA therapy. This is Psoralen and Ultraviolet A Therapy. You will have to take medicines and apply an ointment on the areas where you have white spots. The chemicals in Psoralen will react with the Ultraviolet light and reduces the white spots on the skin. Radish seeds can regenerate melanin in the skin. Take 50 gm of radish seeds and crush them into a fine powder. Mix this with 50 to 60 ml of vinegar and apply this pate on the affected areas. Wait for 15 minutes and then wash off with water. Apply this daily for about six months to get white spots removed. Make a paste with five teaspoons of turmeric powder and 250 gm of mustard oil. Apply this on the skin two times daily. Using this daily for one year is sure to give you good results. If you have vitiligo and your skin is fair, then you must apply a sunscreen with SPF 30. This will protect your skin from UV and UVB rays. Using this helps in reducing vitiligo signs and tanning of the skin. Take some walnuts and grind them to get a coarse powder. Mix 2 teaspoons of this powder with water to get a thick paste. Apply this on the affected areas and wash off after 20 minutes. Do this three to four times daily. Within two months you can see the difference it makes to your skin.